Had a recall that I needed to take care right away for my Jetta. I called another VW location and they could get it done till the next day. 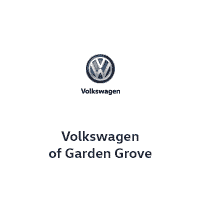 I called VW of Garden Grove and Clayton said they could get it done right now. I rushed over there and they took the best care of me. Got an oil change as well. They washed my car and got me on my way. Thank you for the speedy helpful service. I will drive the extra miles in the future to come back to This location. Very nice place, clean and organized. Was helped by David at Service, very polite and helpful. I recommend this VW dealership. Fred and Scotty took the BEST care of me and got me my DREAM car. Not only did they ensure that I got exactly what I wanted, but they offered me the most incredible deal, were honorable, honest and made me feel understood in my search for the perfect car. They went above and beyond to get it to me in time, even to the extent of getting up at 6am to ensure my deal was made in efficient time the day I needed it. I HIGHLY recommend their dealership and personal salesmanship. THANK YOU GUYS!! Scotty very real and down to earth. Visited several dealerships this past week, he was great no run around. Good people. Had a great experience checking out the Atlas. Receptionist is very caring.